“Imani Winds has proven itself to be more than a wind quintet—more like a force of nature.”—This Week in Philly. Since 1997, the Grammy-nominated ensemble Imani Winds has carved out a distinct presence in the classical music world with its dynamic playing, culturally rich programming, genre-blurring collaborations, and inspirational outreach programs. With a deep commitment to commissioning new work, the group enriches the traditional wind quintet repertoire while bridging European, American, African, and Latin traditions. This weekend, an exciting new initiative begins at Sphinx. 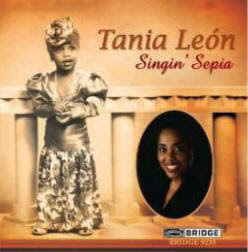 We invite you to join us on a journey through the music of Black and Latino classical composers and performers. “Sphinx Journeys,” a seven-part radio series, will take our listeners on an exploration of music created by composers and performers of color. Each one-hour episode is hosted by Founder and President Aaron Dworkin—the series premieres this Sunday, March 1 on WRCJ 90.9 FM in Detroit and will be heard on Sundays at 5 p.m. Listeners around the world can listen on the web at http://www.wrcjfm.org. 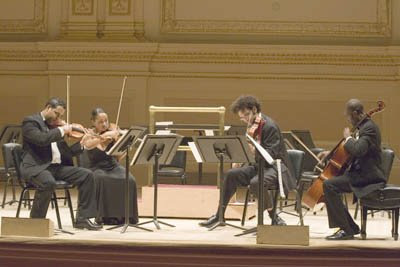 The first episode is “A Journey of the Harlem Quartet,” featuring the all Black and Latino professional string ensemble comprised of First Place Laureates of the national Sphinx Competition. The quartet consists of violinists Ilmar Gavilan and Melissa White along with violist Juan-Miguel Hernandez and cellist Desmond Neysmith. David Bukszpan is Publicist for WNYC Radio. 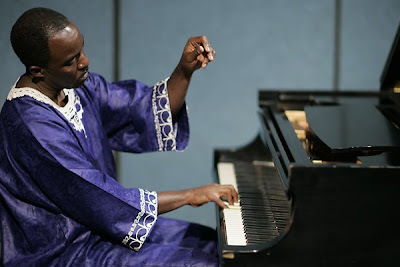 He tells Africlassical of a New York classical music broadcast on weekday evenings which is streamed on the Internet: “Terrance McKnight is the host of 'Evening Music,' a classical music program that airs from 7pm-11pm on WNYC, the nation’s largest public radio station. 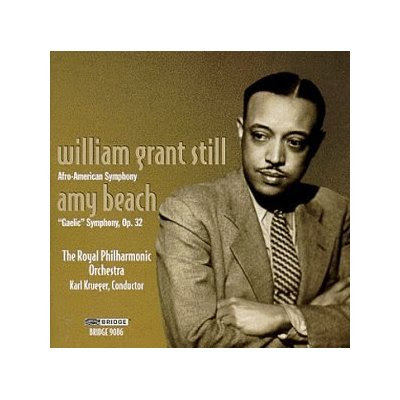 The program also streams live at http://www.wnyc.org, so many listeners outside of New York tune in.” The program highlights for Feb. 24 began: “Songs of Separation: We hear William Grant Still's powerful setting of five related works by African American poets in 'Songs of Separation.'" “As the host of the weeknight edition of Evening Music, Terrance McKnight brings to the position wide and varied musical experience that includes performance, teaching and radio broadcast. 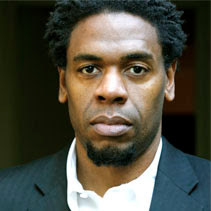 McKnight joins WNYC from Georgia Public Broadcasting, where he was creator, producer and host of Studio GPB for five years, a show which grew in popularity and influence during his tenure. The program featured a wide array of musical artists through interviews, live studios sessions, and commercial recordings, and guests included John Adams, Osvaldo Golijov, Marin Alsop, Marcus Roberts and Michael Eric Dyson. Due to its popularity, the program expanded from one night per week to five. While at GPB, he also initiated and hosted the Atlanta Symphony Orchestra Broadcast series, which featured live performances and interviews with conductors, guest soloists and orchestra members. 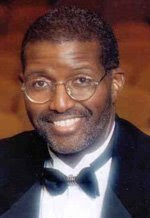 “In addition to his radio work, McKnight was also a member of the Morehouse College faculty, where he taught music appreciation and applied piano since 1998. An accomplished pianist, McKnight got his start in public radio as the first resident of NPR's Classical Music Diversity Initiative Program, for which he worked at NPR's Performance Today. 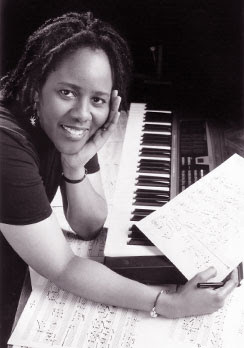 In 1997, McKnight performed the world premiere of 'Broke Baroque,' at the National Black Music Caucus 25th Anniversary Celebration in Atlanta as part of a musical tribute to T.J. Anderson. McKnight holds a B.A. 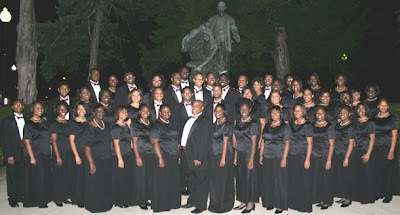 from Morehouse, where he toured with the College Glee Club as an accompanist and soloist, and an M.A. in Music from Georgia State University, where he performed with the 20th Century Chamber Ensemble. Thursday, February 26: First Baptist Church Chattanooga, Chattanooga, Tenn.
Friday, February 27: Imani Baptist Church, Lexington, Ky.
Tuesday, March 3: First Congregational Church, Battle Creek, Mich.
Wednesday, March 4: Emmanuel Missionary Baptist Church, Chicago, Ill.
Thursday, March 5: Witherspoon Presbyterian Church, Indianapolis, Ind. Celso Machado is an Afro-Brazilian composer, guitarist, lyricist and singer who was born in Ribeiro Preto, Brazil on January 27, 1953. He has a website of his own, http://www.CelsoMachado.com The works he writes and performs are played by guitarists in both classical and world music genres. At age seven Celso began performing in street bands. He first performed in Canada in 1986; he moved there three years later. Celso's many CDs consist of music composed by himself and others. On Nov. 24, 2008 AfriClassical reported: “'Jogo da Vida' Makes Celso Machado World Solo Artist in 2008 Canadian Folk Music Awards”. 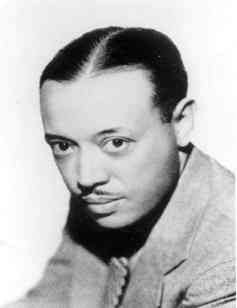 Composer William Grant Still will be recognized posthumously as the 2009 Honoree for his contributions to the world of classical music as part of the Detroit Symphony Orchestra’s (DSO) 31st annual Classical Roots Concerts taking place Fri., Mar. 6 at 8 p.m.; Sat., Mar. 7 at 8:30 p.m.; and Sun., Mar. 8 at 3 p.m. in Orchestra Hall. The 2009 concerts will be conducted by the DSO’s Resident Conductor Thomas Wilkins, who was the 2008 Honoree, and will feature guest artists Janice Chandler-Eteme (soprano), Jevetta Steele (mezzo-soprano), Kevin Deas (baritone), Taylor Gardner (child soprano) and the combined Rackham Symphony Choir and Brazeal Dennard Chorale directed by Suzanne Mallare Acton. The program begins with “Lift Ev’ry Voice and Sing,” which has opened every Classical Roots concert since its inception in 1978, and continues with a cappella selections by the Brazeal Dennard chorale directed by Augustus Hill, Still’s Symphony No. 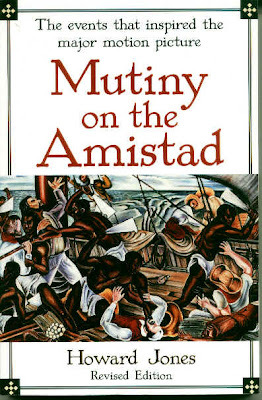 1 (Afro-American Symphony) and Dear Mrs. Parks by past Honoree Hannibal Lokumbe. CAPE GIRARDEAU, Mo., Feb. 18, 2009 – The Southeast Missouri Symphony Orchestra will present a concert next month entitled “Lincoln Portrait” to commemorate the bicentennial anniversary of the birth of President Abraham Lincoln born Feb. 12, 1809. The concert will include music by significant American composers and will feature a performance of Aaron Copland’s evocative “Lincoln Portrait,” with Missouri Lt. Gov. Peter Kinder as special guest narrator. The concert will be performed at 7:30 p.m. March 3 in the Donald C. Bedell Performance Hall in the Cultural Arts Center located at the Southeast Missouri State University River Campus. Regina Harris Baiocchi sends this news to AfriClassical: "Please note that the world premiere of my two commissions will be next Tuesday, 24 February, 7:00 PM. 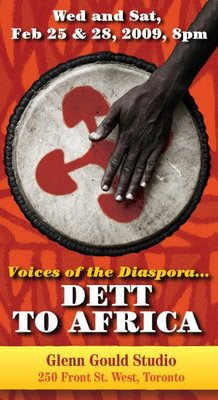 Music: ETHS Fanfare and Nyimbo Mbili Katika Kiswahili kwa Chorus & Orchestra (Two Swahili Poems). Venue: Evanston Township High School Auditorium, 1600 Dodge." “As part of the high school's 125th anniversary celebration, the ETHS Alumni Association board commissioned a special musical work by Regina Harris Baiocchi to be played at the music festival: 'ETHS Fanfare' and 'Two Swahili Poems: Nilisikia sauti kubwa and Haba na haba.' Baiocchi -- a Chicago composer, poet, author and artist -- has written instrumental and vocal music for opera, libretti, ballet and concertos. Her compositions have been performed by the Chicago Symphony, as well as numerous other orchestras and ensembles throughout the United States and Europe.